LONDON: The Pakistan Army’s media wing, Inter-Services Public Relations (ISPR), on Friday said the UK leadership commended the improved security situation in Pakistan. 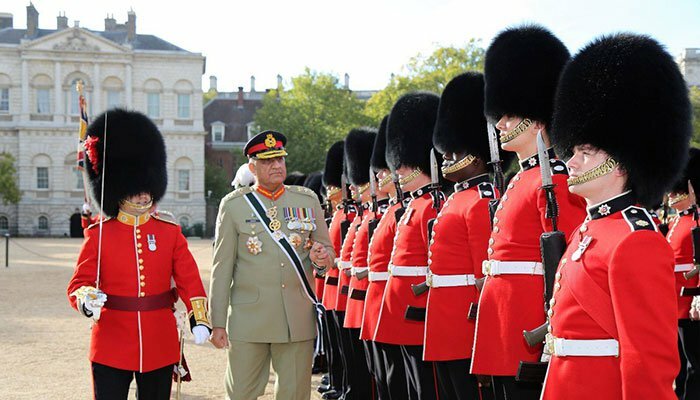 Chief of Army Staff (COAS) General Qamar Javed Bajwa met Britain’s Chief of Defence Staff (CDS) Sir Nicholson Carter in London where upon arrival he was presented with a guard of honour. The meeting was followed by talks between the two delegations on security environment and cooperation, ISPR added. The COAS also called on Secretary of State for Defence Gavin Williamson, Prime Minister’s special representative for Afghanistan and Pakistan (SREP) Gareth Bayley and National Security Advisor Mark Sedwill. During the meeting matters of evolving regional security environment and mutual interest were discussed. COAS at UK. Met British CDS, Secy of State for Defence, SREP for Afg & Pak and NSA. British leadership was unanimous in acknowledging Pakistan’s extraordinary achievements in Counter Terrorism and commended the improved security situation in Pakistan. The discussions ranged from the bilateral bond created by sizeable Pakistan diaspora in Britain as well as shared interests in evolving global geopolitical and geo-economic environment. 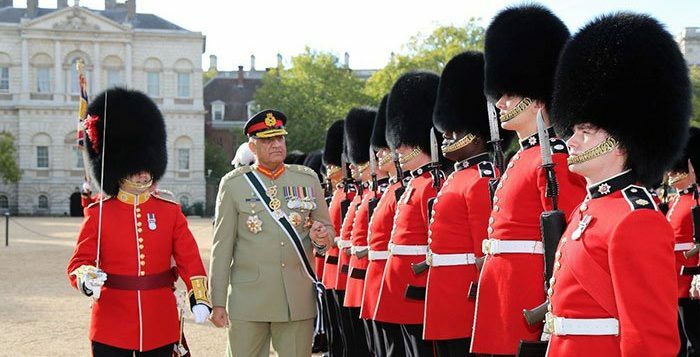 The COAS reached London on Thursday for an official visit.